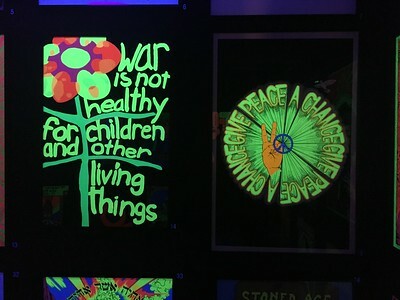 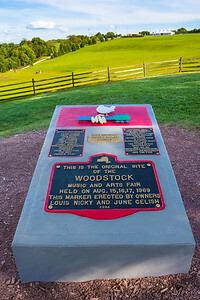 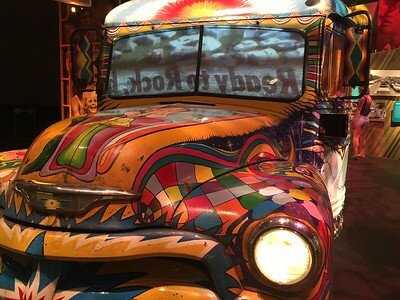 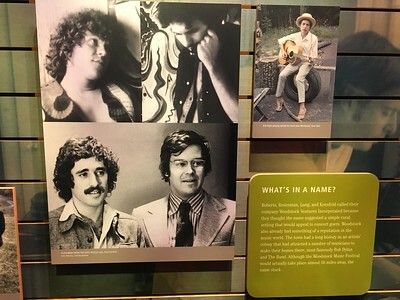 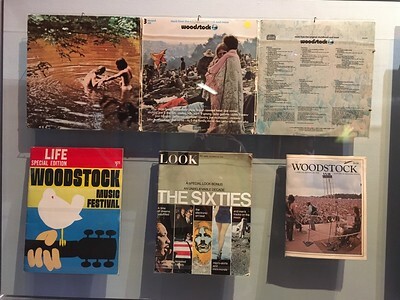 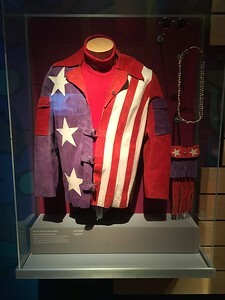 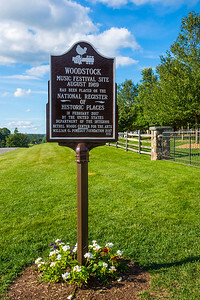 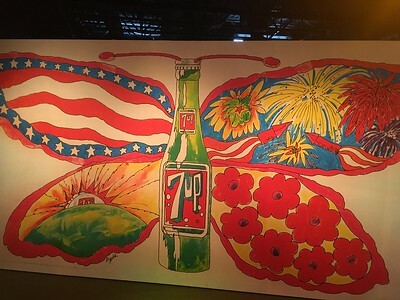 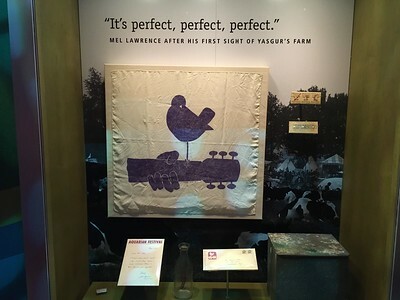 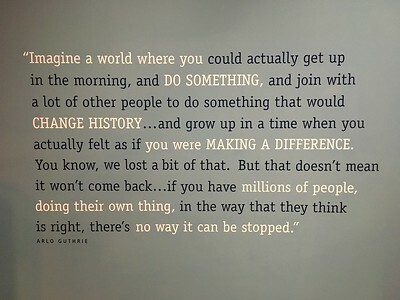 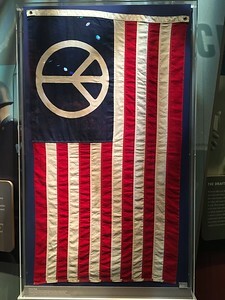 My first visit to the Museum at Bethel Woods, the Woodstock concert grounds and book signing by Woodstock organizer Michael Lang... more photos to come! 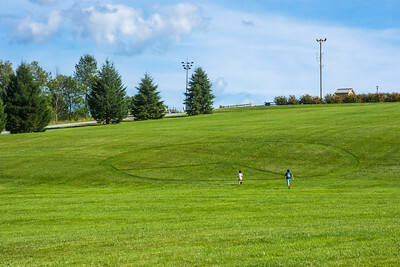 Kids run towards the giant peace sign in the hillside of the Woodstock concert field. 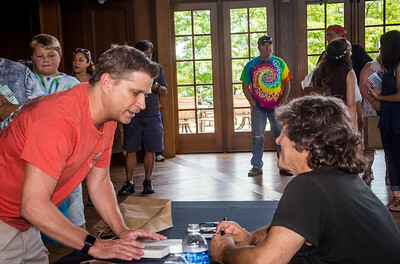 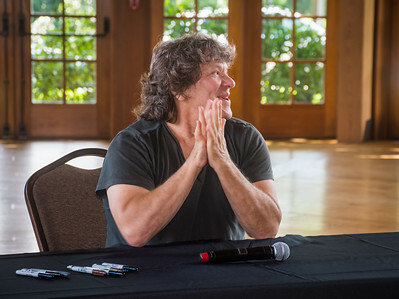 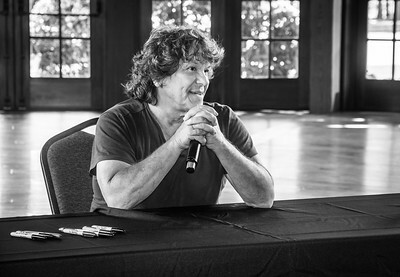 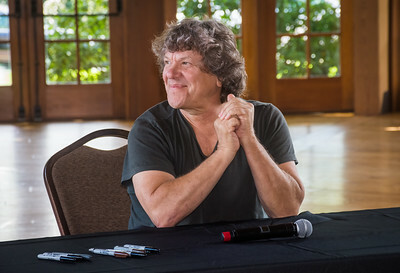 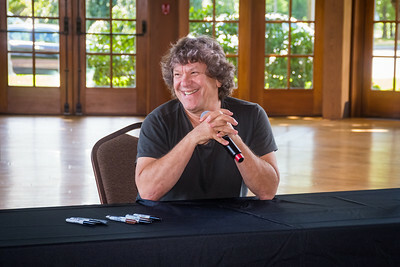 Michael Lang at the Event Center in the Museum at Bethel Woods for a book signing on August 13 2017. 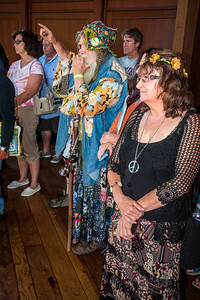 Phil the volunteer and this lovely lady both were at Woodstock in 1969 and pose by the stage area. 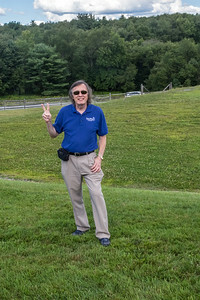 Phil the volunteer at the stage area he remembers well from the actual concert in 1969. 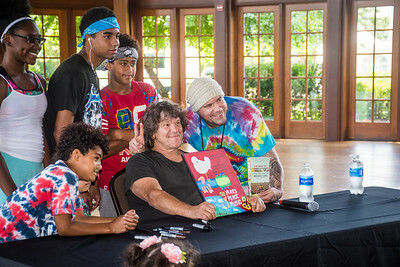 Fans of Woodstock at te Michael Land book signing on August 13 2017 in the Event Center at the Museum at Bethal Woods. 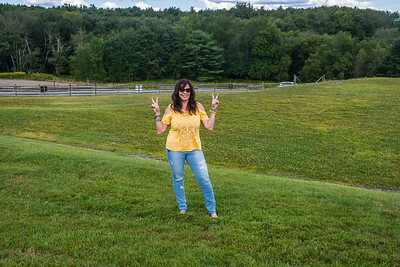 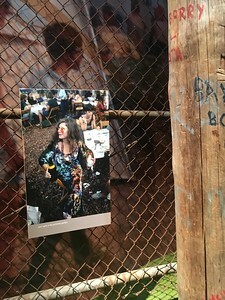 The museum volunteers happily took pictures of me at the stage area of the actual Woodstock concert. 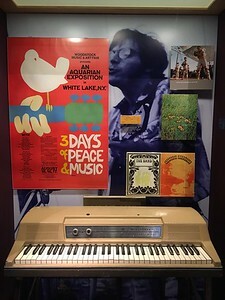 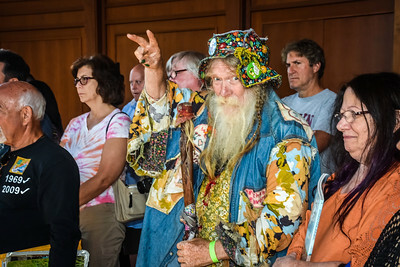 Phil a volunteer at The Museum at Bethel Woods was also actually at the Woodstock concert in 1969. 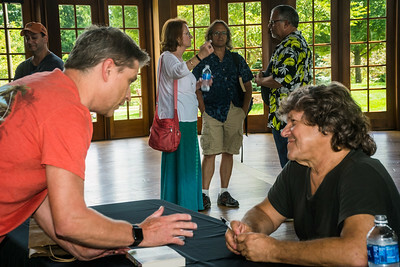 Woodstock fans with Michael Lang for a book signing at the Event Center, The Museum at Bethal Woods. 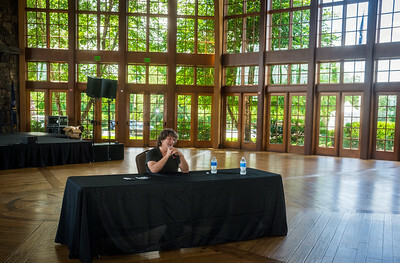 The Bethel Woods museum volunteers were always happy to give information and help out with the photos! 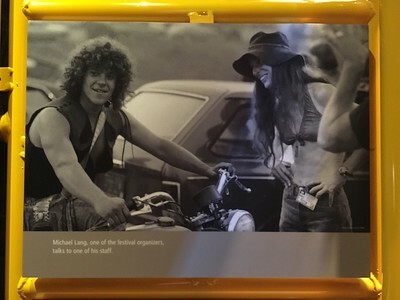 Telling Michael Lang my Woodstock memories from 1969 and the early 70's. 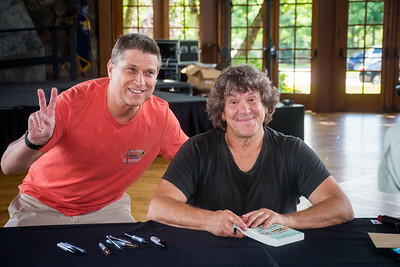 Happy to meet Michael Lang at the book signing! 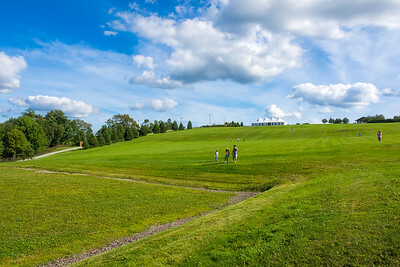 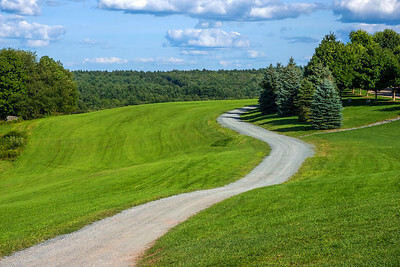 A family walks towards the stage area of the Woodstock concert grounds in Bethal Woods. 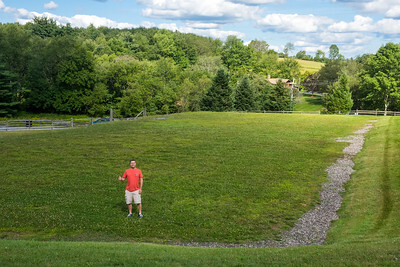 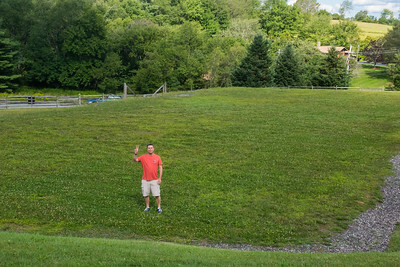 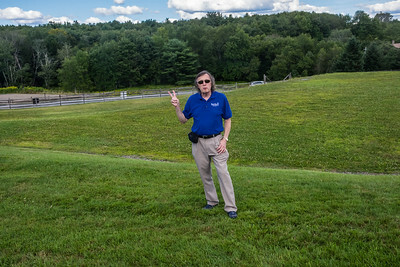 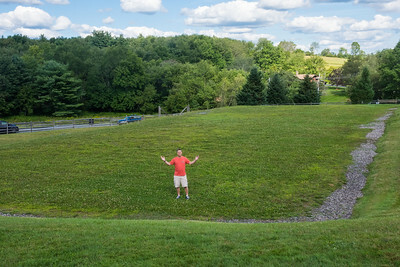 Happy to be photographed on the sacred ground of the Woodstock stage location.